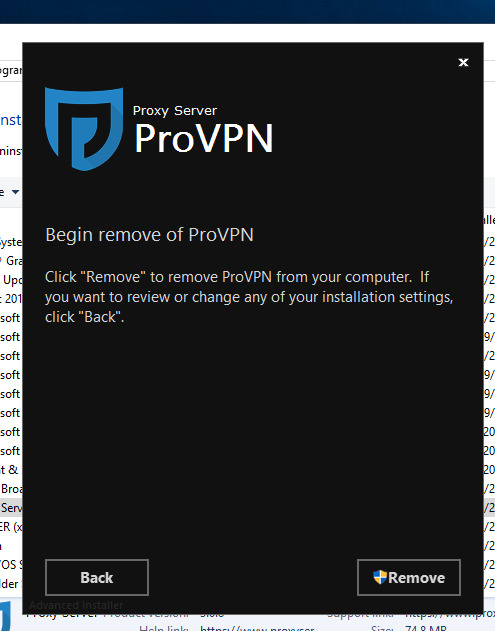 How do I uninstall your VPN client Windows 10? 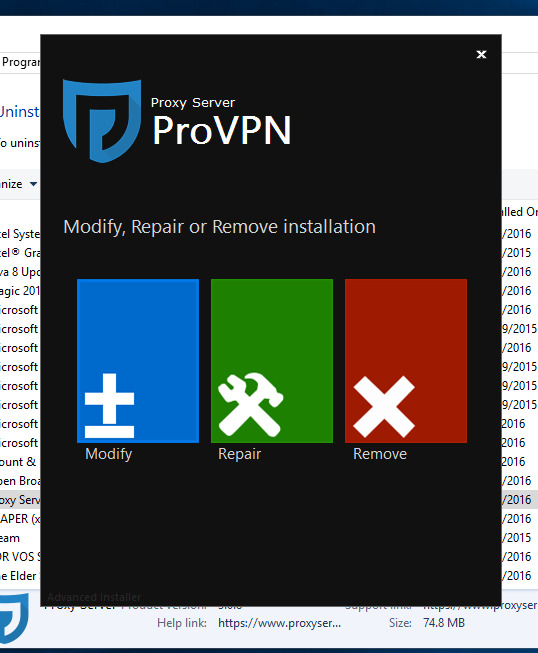 Whatever your reason for uninstalling the Proxy Server Pro client from your device, we've made the process quick and hassle-free - even if you're no longer going to be using our service, we pride ourselves on providing a user experience that is second-to-none, from installing and running our client to killing and uninstalling it. When you install the client for some other VPN providers, you also (often unknowingly and with no warning) install a host of background programs and processes such as adware that produce pop-ups, spam, and other stuff that diminish your system's performance and speed and can be a general nuisance. 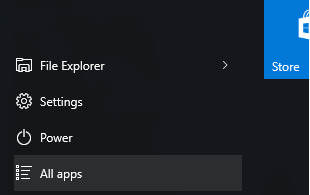 What's worse, these background programs can also remain on your device even after you've uninstalled the VPN client. 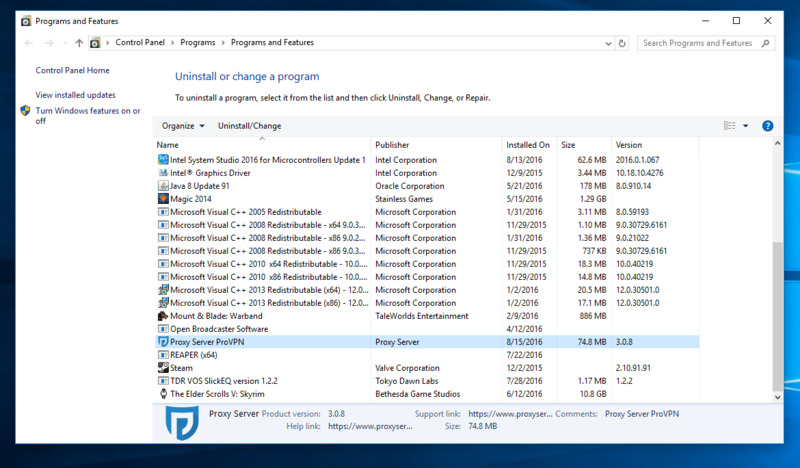 When you install the Proxy Server Pro client, you're not installing any other programs, and the only background programs running are a small Java process and a TAP adapter required for our client to run (you can find out more about these in our knowledgebase articles, "Does your client run other programs in the background on my device?" and "Why is a TAP adapter required?"). We package the TAP adapter with our client when it is installed; likewise, it is removed when you uninstall our client. 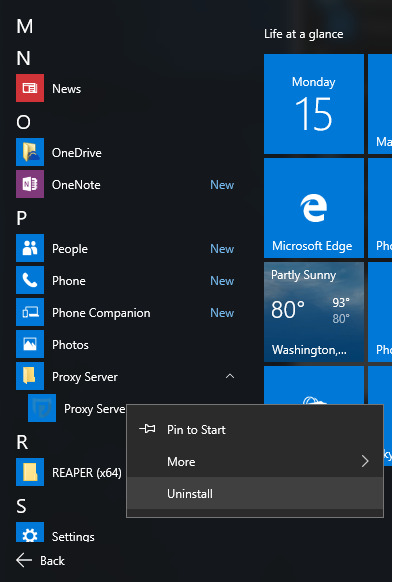 First, got the start menu and select "All Apps"
Navigate to "Proxy Server" then "Proxy Server Pro"
Right click and select "Uninstall"
Double click on "Proxy Server Pro"
Within a few minutes, the Proxy Server Pro client will be completely uninstalled from your computer. If you need any help or have questions please chat with us by selecting the chat bubble at the bottom of the screen.